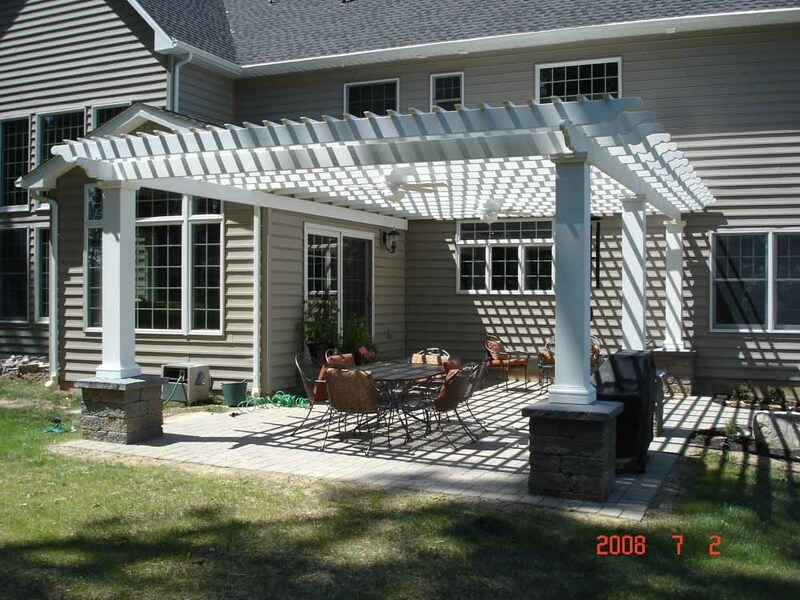 We offer both standard and 100% custom size pergola kits, including column type/size of your choice and all installation hardware, in a variety of PAINT-FREE materials including fiberglass, vinyl, aluminum, and wood. 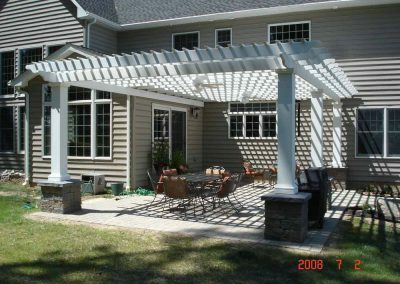 Fiberglass can be pre-finished any color of your choice and can be custom color matched to any Sherwin-Williams or Benjamin Moore brand paint mixture. 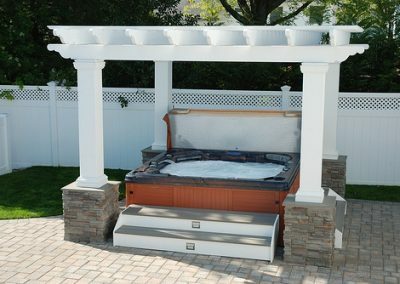 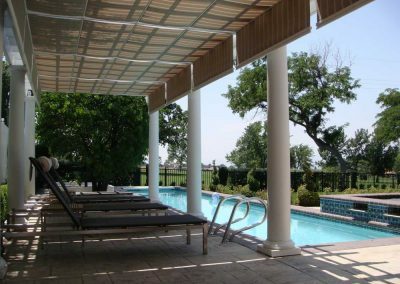 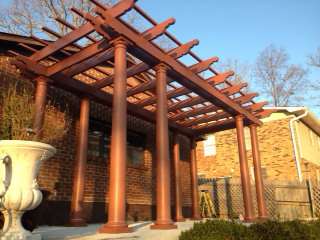 Columns & Carvings can meet your pergola/arbor needs IN STANDARD AND CUSTOM SIZES. 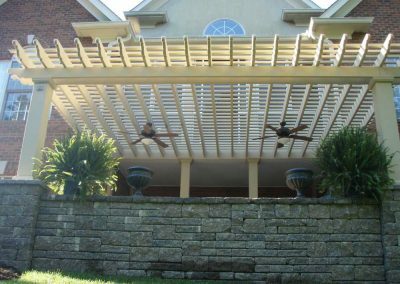 All of our pergolas/arbors can be purchased as free-standing systems with columns, or to be attached on 1 or 2 sides to an existing structure. 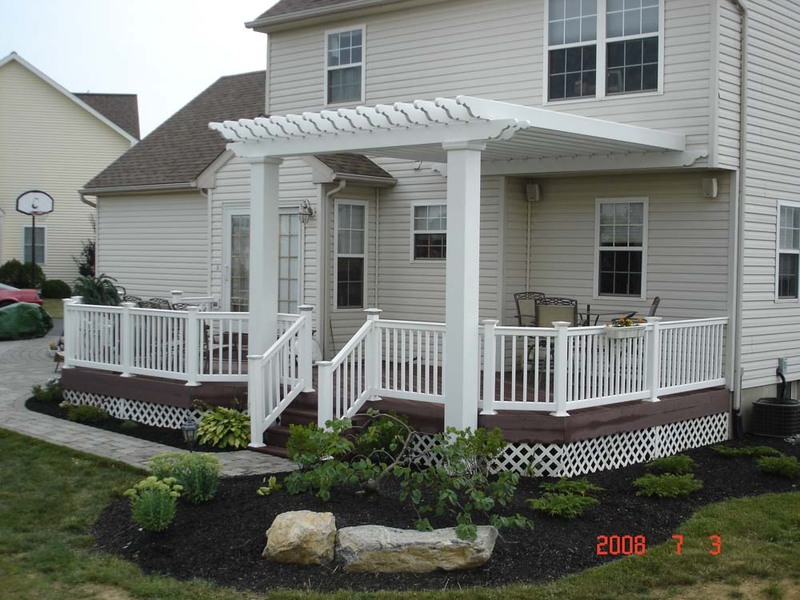 We offer pergolas/arbors in TREATED WOOD for painting (or option for staining) as well as paint-free white VINYL, paintable PVC, paint-free ALUMINUM, and FIBERGLASS PREFINISHED ANY COLOR YOU WANT. Our best seller is the fiberglass pergola kit due to its versatility in allowing you to use a multitude of column options, span up to 20’ using only 4 columns, and be provided pre-finished in ANY color you choose. 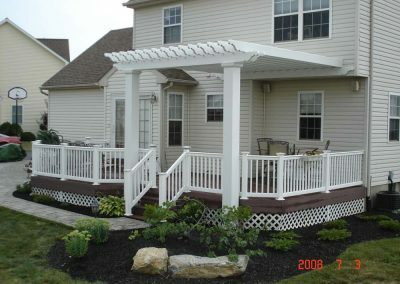 Our pergolas/arbors allow you to enjoy a new kind of outdoor living. 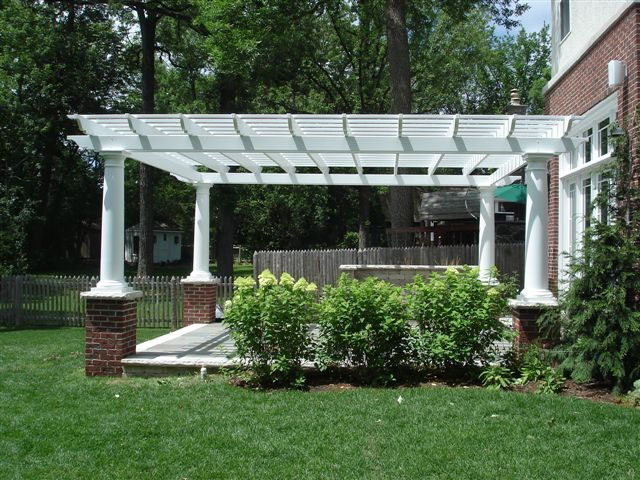 Pre-packaged and ready to assemble, C&C pergolas/arbors add beauty and value to your home by creating peaceful, intimate outdoor spaces with structures that are both classic and affordable. 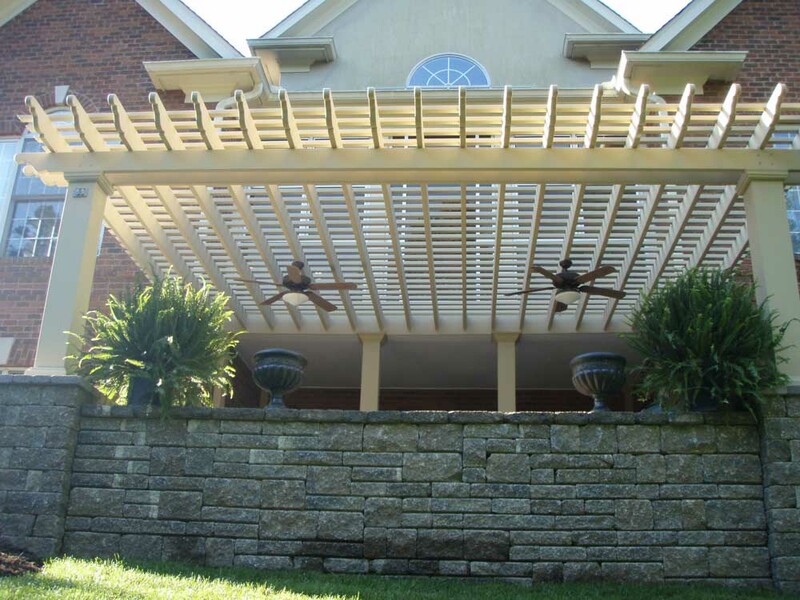 Maintenance free and easy to install, our composite pergola/arbor materials are available in both standard and custom sizes. Cast of high-tech composite materials and pre-engineered for stability, they can be relied on for permanence — yet each system can be disassembled for easy portability. 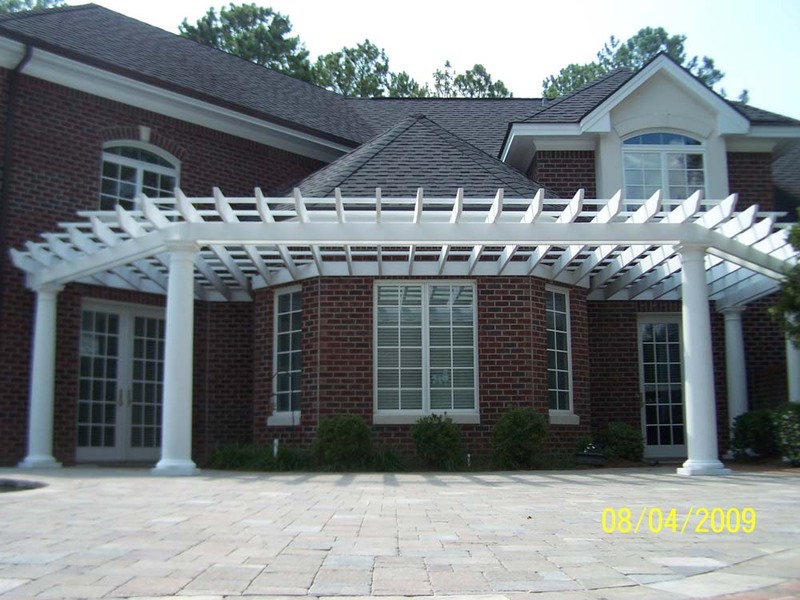 More durable and weather-resistant than traditional wood pergolas/arbors, all Columns & Carvings pergolas/arbors will make your outdoor structures a hassle-free space for gracious entertaining or intimate relaxing.